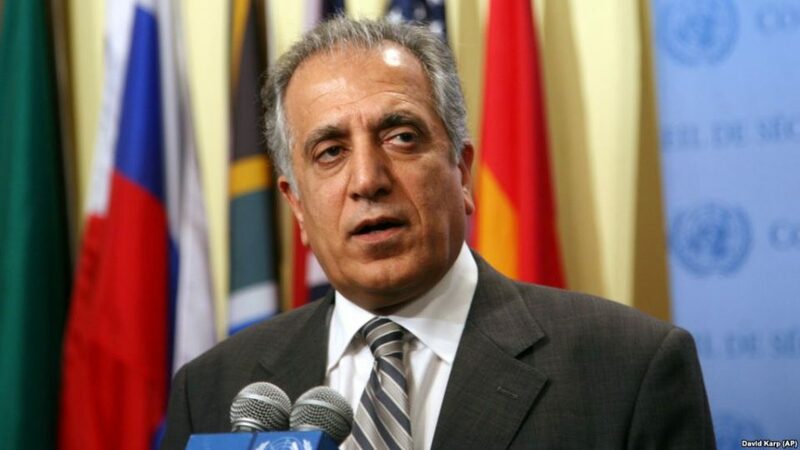 US special peace envoy Zalmay Khalilzad’s right position for peace in Afghanistan is to facilitate direct peace talks between members of the Taliban group and Afghanistan government to end the 17-year old war in the country. Taliban has not declared its position and final decision in connection with direct talks with Afghanistan government so far. Ending the ongoing war in the country is possible only if the two warring sides hold direct talks with each other. It is very necessary that the current peace process should be led and owned by Afghans. Peace talks can be effective if representatives of Afghanistan government are included in talks with the Taliban group. Inclusion of Afghanistan government is necessary for national reconciliation in the country as the government is the main warring side and should be included in debates for ending the ongoing war. If Afghanistan government is excluded from peace talks, no decision regarding peace and releasing Taliban prisoners will be executed. US cannot execute and address Taliban demands for building confidence as Taliban prisoners are not imprisoned in US prisons. They are imprisoned in Afghanistan and only judicial organs are authorized to release them. Therefore, it is not rational that Afghanistan government is excluded from talks that are held for ending the current war in the country. No countries in the world or region are not in favor of exclusion of Afghanistan government from peace talks. Direct peace talks with Afghanistan government and road map for peace in the country will harm no sides and can open door to national reconciliation process. Afghan political parties, who are interested in talking with the Taliban group, should clarify this fact to leaders and representatives of the group that pathway to peace and stability in the country is to talk with Afghanistan government. Most of countries in the region including Pakistan have admitted that there is no other way except direct talks between the Taliban group and Afghanistan government. But, Taliban has not shown any readiness not taken final decision for direct talks with Afghanistan government. Peace talks should be simultaneously followed with the implementation of ceasefire and ending bloodshed in Afghanistan. Previously, Afghanistan government had declared that everything could be discussed and the Taliban side could share anything they had with representatives of Afghanistan government. Lasting peace can be maintained in Afghanistan when peace talks are led and owned by Afghans and it will be the Afghan government that can take the decision as no organization or country can sign the peace agreement except the Afghan government. The fourth round of peace talks between US officials and representatives of the Taliban group took place amid of increasing military operations against the Taliban group in various provinces of the country. It is said that a fresh round of talks between US special peace envoy Zalmay Khalilzad and the Taliban group is expected to take place on February 25 in Doha.